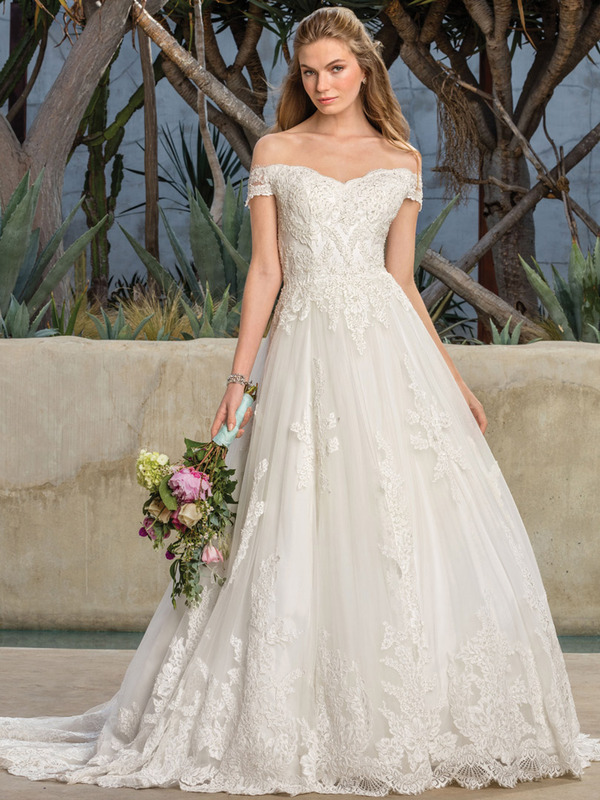 If you were to take Disney princess Belle's infamous yellow ballgown and blend it with today's modern bohemian fashion sensibility, the result would look something like Style 2290 Harlow. 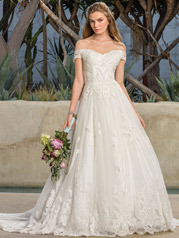 Off the shoulder sleeves frame the arms on this dropped waist full A-line beauty, flowing from the sweetheart neckline. 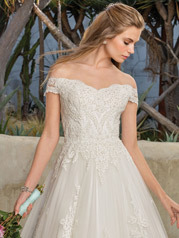 The fanning scalloped edge of the semi-cathedral length hem is incomparable.